Martha writes Mr. Howells thanking him for the package of clothing that he sent to the school. 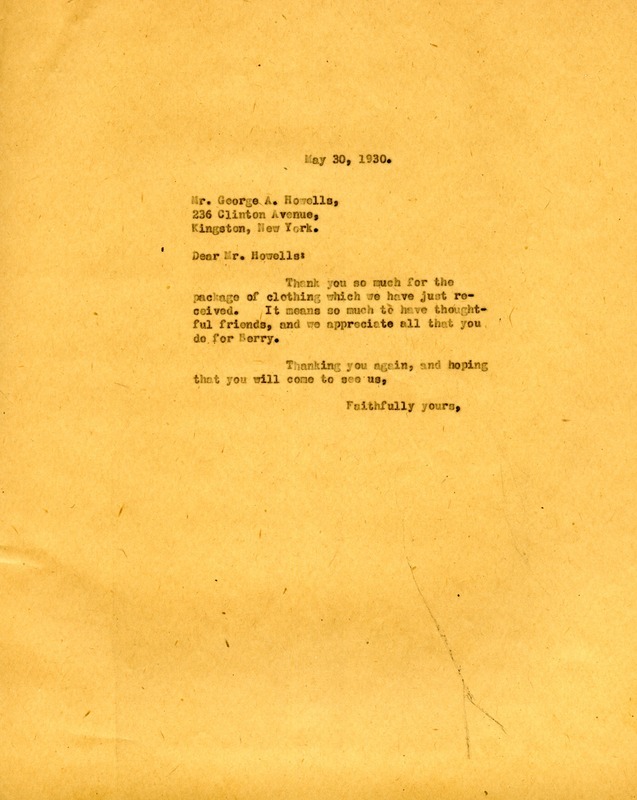 Miss Martha Berry, “Letter to George Howells from Martha Berry.” Martha Berry Digital Archive. Eds. Schlitz, Stephanie A., Rachel Renaud, Aaron Jackson, et al. Mount Berry: Berry College, 2013. accessed April 24, 2019, https://mbda.berry.edu/items/show/12929.